CPU-Z content rating is Everyone. This app is available in the tools category of the app store. 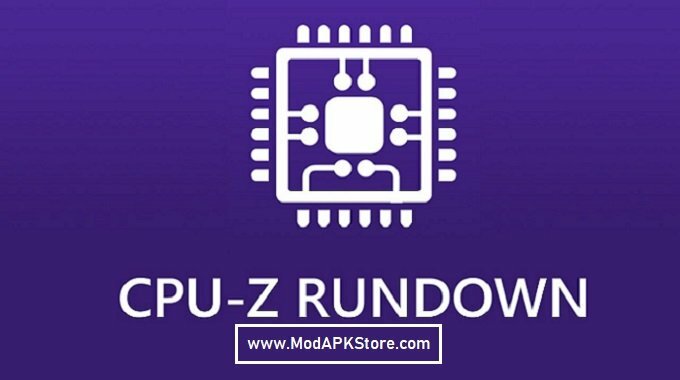 CPUID’s website is the official website of CPU-Z APK and if you want to know more about the company/developer for this apk then contact to https://www.cpuid.com/. CPU-Z APK can be downloaded and installed on the android device supporting with 8 API and above. You should download the app using your favorite browser and click on install to install the app. Please make sure, we provide original apk and pure apk and provide faster download speed than CPU-Z APK mirrors. SoC (System On Chip) name, architecture, clock speed for each core. System information: device brand & model, screen resolution, RAM, storage. Battery information: level, status, temperature, capacity. The validation allows storing the hardware specification of your Android device in a database. After the validation, the program opens your validation URL into your current internet browser. If you enter your e-mail address (optional), an e-mail with your validation link will be sent to you as a reminder. If CPU-Z closes abnormally (in case of bug), the settings screen will appear at the next run. You can use that screen to remove the main detection features of the application and make it run. In case of the bug, please open the application menu and choose “Send Debug Infos” to send a report by email.